When I posted my article "Corporate misbehaviour, abuse of power, and why there are so few women in technology", I meant to share a cathartic and personal experience, wanting to get out of my chest what I would have answered my male colleagues, who do not always ask women the question “why there are so few women in technology”. As a matter of fact, male colleagues tend to ask the question to themselves and/or to their gender peer group. It is harder to detect and gain awareness of any unconscious bias within your own demographic of technology executives. At the time of posting the article, first in CIO New Zealand and then on LinkedIn, I knew the topic was dear to many women, and of interest to some men. However, I did not realise I hit a nerve until I saw the ‘likes’ on LinkedIn climbing. The first responses and comments came from women, and regardless whether they worked in New Zealand or America, it seems the sentiment about the corporate environment being bullish, with abundant posturing and unconscious bias behaviours was shared across borders. Later on came the male readership and comments. The oldest document I found online referring to the gender gap is from 2010 Women and girls Summit Report (County of Santa Clara, USA), which already mentions the need to move women into non-traditional STEM subjects and careers. It would be pointless to increase the intake of women in technology, and in boards for more women to experience the negative aspects such as abuse of power and bullying. 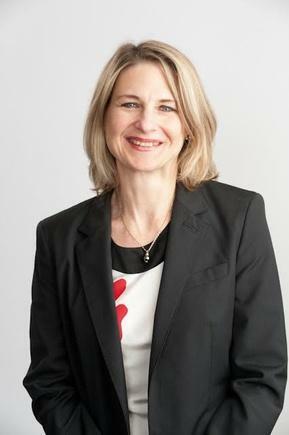 The latest statistIcs on McKinsey's Leaky Pipes survey found that 48 per cent of women entering the technology workforce, only 21 per cent reach C-level; or the Harvey Nash/KPMG CIO survey which indicates no progress on women in IT leadership despite 35 per cent of the companies with a formal diversity initiative. The Tech Challenge Charter, that PWC and Deloitte have just joined, admits that the industry is male-dominated. In summary, not much progress has been made. If the number of women in tech or boards or just corporates is to increase and stay, the environment has to be welcoming, and this is not just a benefit for women, everybody in the organisation benefits. It would be pointless to increase the intake of women in technology, and in boards for more women to experience the negative aspects such as abuse of power and bullying. 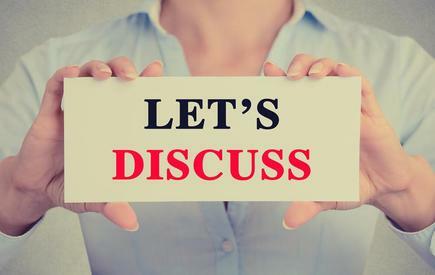 What would happen if each organisation, unit, team, group of men and women working together had an honest, open, time-boxed discussion about the behaviours at work, how different behaviours are enacted and perceived? Which ones are positive, which ones are negative for each gender? Then take action to fix that group, and then another, and another – like a chain reaction. How about borrowing the words from the White Ribbon campaign ad, as a conversation starter? 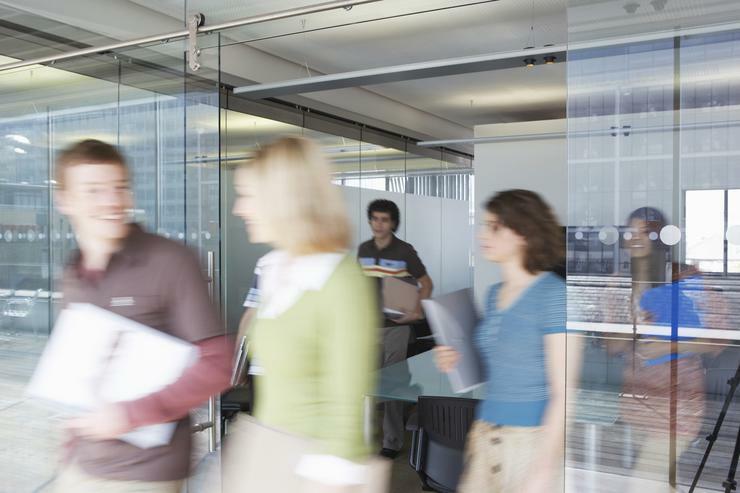 What if we started changing the workplace one team at a time? It is the working relationship which needs to improve for inclusion. Like any other relationship, the parties need to understand what is and what is not working, and then act to change. Let’s collectively create this ground swell by shifting the energy from discussing to doing something, albeit small, which multiplicated, could make a positive difference. Let's crowdsource that determination to affect change. 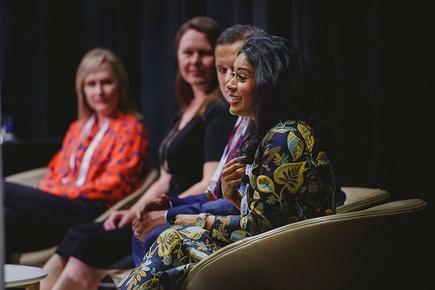 At a Microsoft Women in Technology forum: Donna Wright, Business Planning Director – Microsoft; Sonia Cuff, Technology Consultant; Damian Sharkey, Workstream Director - Westpac NZ; and Nuwanthi Samarakone, CEO - ICE Professionals.